In today's hyper-competitive business environment, leaders who can engage and inspire their teams and organisations have a distinct advantage. Using the art of effective storytelling, leaders can defeat information overload to inspire the emotion and effort needed to adopt new strategies, attract new clients, or win new business. Dry facts and data fade from memory over time, but an engaging story is difficult to forget. 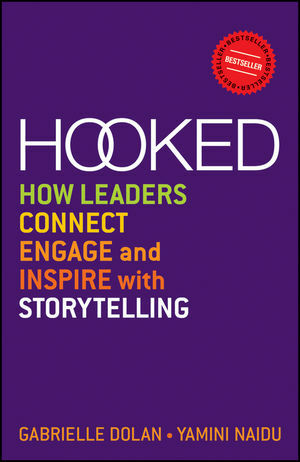 In Hooked, communication and business storytelling experts Gabrielle Dolan and Yamini Naidu use real-world examples and proven, effective techniques to teach the skill of great business storytelling. They explain what good storytelling is, why business leaders need to learn it, how to create effective stories, and how to practice for perfection. For CEOs and other business leaders who need to communicate more effectively and persuasively, Hooked offers effective techniques and valuable guidance. Gabrielle Dolan and Yamini Naidu are the founders of One Thousand & One, an organisation specialising in business storytelling. They have taught thousands of high-profile CEOs, leaders and professionals their winning business storytelling techniques to achieve outstanding results.